Dr. Tom Smart is a native of London Ontario and has been practicing for over 25 years. He went to Oakridge SS and then attended UWO, where he took two years of biology before entering dental school and completing his degree. He also proudly served 6 years in the military. Dr. Smart is committed to quality dentistry and attends advanced continuing education courses throughout Canada and the US. He is focused on family dentistry, prevention and a holistic approach to overall health. He is an active member of the Canadian Dental Association, the Ontario Dental Association and the London District Dental Association. He taught at the UWO dental school as a clinical instructor for many years. He also strongly believes in supporting local businesses and his community. Dr. Smart purchased Dr. Lee Beam’s practice in 2002 at 418 Queens Avenue. In 2013, Smart Dentistry merged its operation with friend Dr. Terzis and his staff at 540 Queens Avenue. 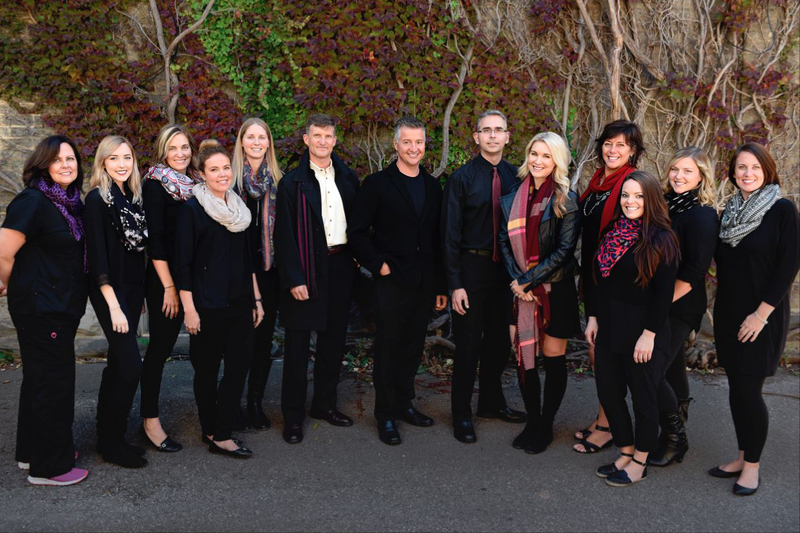 Although Dr. Smart and his staff run a separate business within Woodfield Dental’s umbrella, you will often see them helping out their colleagues. This situation allows for a synergistic cooperation between the two offices that form Woodfield Dental’s group. Dr. Smart is an avid cyclist, loves yoga, art, history, painting miniatures, playing guitar and just hanging out with his family watching comedy movies!